As the ground starts to warm up in the bright spring sunshine, it is finally time to prepare your garden plot. Early spring preparations are the foundation for a long and bountiful growing season. And while getting your garden ready for spring may be backbreaking, these steps will help produce a healthy garden. 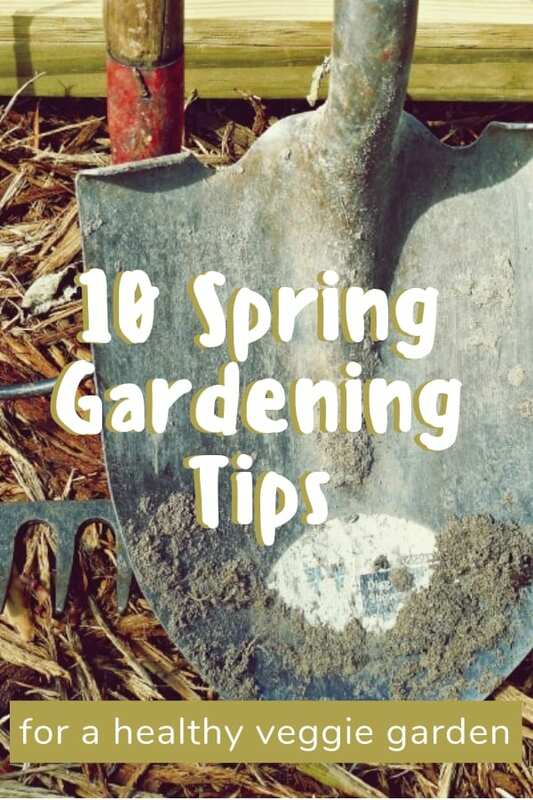 Here are some spring gardening tips that will help you start this gardening season right. Every garden needs a blueprint to get the best results. For example, pumpkins don’t grow well next to potatoes, but corn and pumpkins complement each other in the garden. Anything from the cabbage family does not gel well with pole beans, fennel or tomatoes. Placement of plants that complement each other can make the difference between a good garden and a great garden. Make certain all your seeds are ordered and ready to be used. Many get the garden started inside so the plants are well on the way when they are transplanted to the garden. I know you’re ready to start planting your garden. But don’t rush, or you’ll waste time and your precious seeds (or seedlings you’ve carefully been nurturing). Before you plant anything, find out what the last frost date is in your area by contacting the county’s agricultural extension office. Based off this date, make a tentative timeline for the completion of early spring garden preparations, including cool-weather crop planting. A big part of spring cleaning is crop rotation. Moving the crops around and companion planting is one of the best ways to get the most use from the soil. Test the soil using a soil testing kit purchased from a local hardware store, or send a sample to a lab suggested by the county’s extension office. Learning the pH and mineral composition of soil is a major element for a thriving garden. The pH of soil is a measure of acidity or alkalinity, ranging between 0 and 14, where 7 is neutral, 0 is highly acidic, and 14 is highly alkaline. Adding the right fertilizer and soil amendments will depend on plant material, pH and mineral levels found in the soil. The most common amendments are lime (to reduce acidity), phosphorous, nitrogen, and potassium. Other materials such as peat, manure, and vermiculite are also added to improve organic composition and drainage. Break up weed roots and destroy pests nests by tilling the soil in your garden. The best tilling depth is about twelve inches: it will get rid of weeds and turn the topsoil. Tilling more shallow will leave weed roots intact and ready to pop up again. Crack open the garden shed and check on the tools. Are any missing? Are they in good repair? If all this is good then as soon as the ground thaws it is time to move it outdoors. Sharpen all hand pruners, saws, shears, and lawn mower blades. Keeping a sharp pruner and saw ensures not only a good, clean cut for plants, but also protects personal safety as well. Most hand pruners have blades that can be sharpened at home using a whet stone. If this is uncomfortable to do, replacement blades are often inexpensive and worth the investment. Take an inventory of the tomato cages and other plant supports that made it through last season. Early spring is often the best time to stock up on these items, since stores will have more varieties in stock. Supporting the heavy heads of flowers, such as peonies, promotes a healthier plant and keeping vegetable plants vertical reduces the chance of certain insects from reaching the developing fruit and buds. Pulling perennial weeds such as chickweed and chicory is often one of the first chores in the garden. To make weeding easier, weed when the soil slightly moist. This will allow roots to be pulled in one piece and with greater ease versus attempting to wrestle them out of hard, packed soil. Some gardeners choose to lay black plastic or weed control fabric down prior to planting, in order to get rid of weeds. This method effectively prevents sunlight and sufficient oxygen from reaching immature weeds, choking them out. Mulching is another preferred method of non-chemical weed control. 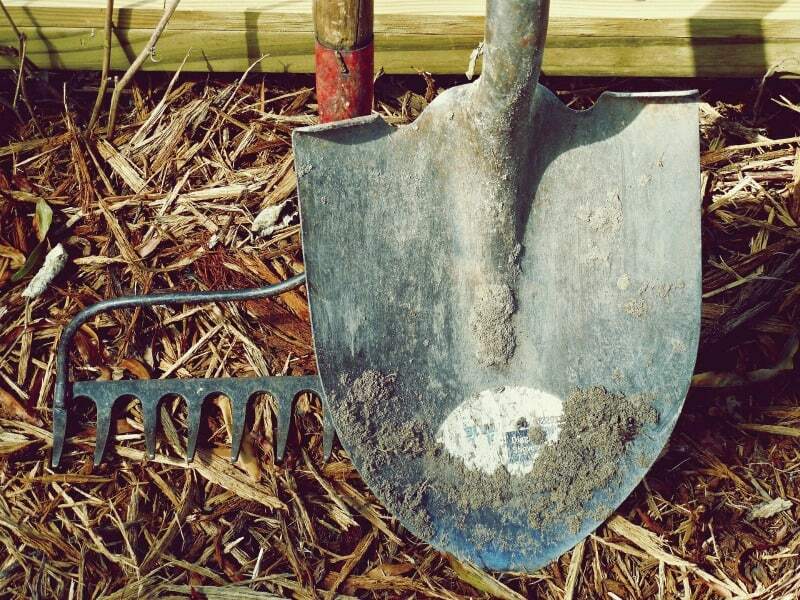 By adding around 2″ of mulch, not only are weeds choked out, but moisture is kept in. Mulch helps soil retain water and stay cool in even the sunniest of locations, but beware of when mulch is laid because mulch reduces soil temperature. Applying it too early will only lengthen the amount of time before anything can be safely planted. It is very disheartening to find a herd of deer standing out and munching on what you had planned for dinner. If you have a fence around your garden, make sure there are no holes. If you don’t have a fence around your garden, but struggle with rabbits, squirrels and other garden enemies, consider putting up a fence to keep them out of your veggies. Sometimes the water hose gets a kink and breaks, or the dog chews it up, or it gets damaged by the sun. Don’t wait to check on it till you need it: take a look at your garden hoses now. Do you have an irrigation system? It makes it so much easier to water your garden! Install one before planting this spring. Or, if you need a budget option, here’s an idea: punch holes in the bottom of an empty water jug and bury it with only the top exposed. Then fill it up with water and let it do its job sending water deep into the ground straight to the root system. Add PVC pipe if bending down to fill the container is too much of a problem for you. Fill the jugs when they empty and leave the worry behind. With these simple preparations there should be a greater chance of a bountiful harvest come fall.